Kaspersky Lab is one of the most respected companies in the cyber defense industry, trusted by 400M+ users. This Antivirus is 100% efficient in terms of catching both common viruses and zero-day attacks. It can be used on a variety of devices, so whether you download Kaspersky for Mac, Android, or its classic Windows client, you will get solid and stable protection. A great thing is you can even get a free version of the software, so you do not have to pay a cent to get the core protection. Still, with malware threats getting more and more advanced, you will probably want to get a full Kaspersky package for ultimate protection. Kaspersky Lab suggests a variety of packages that differ by the number of functions, so you will definitely find the one to your liking that will cover all your devices security needs. The most pleasant part is that packages come at really reasonable prices. Since its very first day of existence, Kaspersky has been one of the best products to guarantee cybersecurity and provide antivirus protection to every single customer. After the US government accused Kaspersky of spying on Americans, the company relocated its data processing to Switzerland to stay away from any further suspicions. And they are doing good. If you wonder whether Kaspersky is actually that great, take a closer look at all the thing it is good at, and all the drawbacks we can single out. Detailed reporting on Kaspersky antivirus actions. proactive protection (provides detection of still unknown viruses). In 2017, Kaspersky Lab products were evaluated in 80+ independent tests and reviews. The results were astonishing – 72 first places and 78 top-three finishes. The last year showed that nothing has changed. The company keeps on demonstrating outstanding results. Several respected labs tested different antivirus software, and Kaspersky is still among the leaders. In July 2018, AV-Comparatives’ Real-World Protection tests showed that Kaspersky was number one out of 18 competitors to block all known threats. In addition, the antivirus did not raise false alarms. In June 2018, AV-Test’s June Windows tests gave the company the highest marks for the level of security it provides. 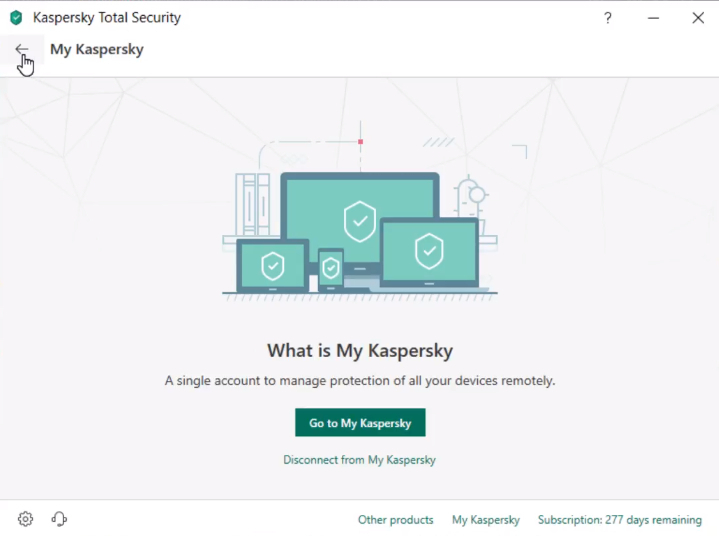 Even the Free Kaspersky offer provides a high-security level to users’ computers. Obviously, Kaspersky demonstrates top results on the market. But the company’s team would not stop improving their offers. So, they have improved the defense for 2019 products. The most significant improvement has to do with noticing ‘file-less’ malware which would live in a computer unnoticed for a long time. Note that none of the company’s products would slow down users’ machines significantly. According to the AV-TEST Product Review and Certification Report, Kaspersky users noticed less than 10% slower installation of other apps, while other antivirus software demonstrates about 25% slowdown. Kaspersky is one of the leaders in providing malware protection. Various lab tests proved that all products of this company are well-tuned to notice and remove unwanted software. analysis of dubious programs which come from users’ computers. Also, Kaspersky would not bother users with too many false alarms. Another good thing about this antivirus is that it can heal the files that have been infected by any type of malware. Ransomware is probably one of the most widespread types of malware traveling on the Internet. And most unwanted. Kaspersky offers a special ransomware blocker. They position it as a tool for business but actually, it is a good thing for anyone. Kaspersky points out that their ransomware protection uses a multi-layered model. Therefore, the product is capable of noticing and stopping any threats at the delivery and execution stage. This includes analyzing the context of emails (together with attachments), searching software vulnerabilities, analyzing process activities. It can also recover infected documents. Kaspersky antivirus includes anti-phishing tools which make it possible to protect users’ identity and personal data. If you try to visit a dubious site, the program will display a warning on your screen. It can also mask your usernames and passwords and thus, help to avoid having them stolen. Kaspersky Lab Antivirus is among most user-friendly antivirus software. The installation process is simple, although it may take about 20 minutes. But the team says the 2019 edition takes 15% less time for installation. Then the user has to go through a simple procedure of questionnaire filling out, specifying the country and accept the terms of the license agreement; all this takes no more than 2 minutes. Once you have the software on your device, you won’t have any problems utilizing it. Kaspersky won’t affect the operation of the computer too much. 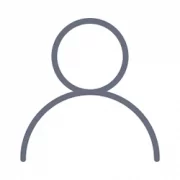 Although a full scan should take about an hour, it will last less than scanning with other competing programs, and the user will be able to use their computer without experiencing significant slowdowns. As for the Kaspersky control panel, it is really easy to use. Besides, users can instantly determine if their system is protected or if there is a real threat. Kaspersky’s 2019 dashboard was improved significantly. Now, it is lighter and more open. When your device is under risk, a green check at the top of the main screen will turn into a red “X.” You will also see what you need to do, for example, update the software. Your home screen will also display Kaspersky’s main features such as Parental Control or Scan. In addition, you will see the date when your subscription comes to an end. Talking about the scan, there are several options to choose from, and this what makes Kaspersky stand out among its competitors. These are a quick scan, full-system scan, and customized scan represented by Selective Scan and External Drive Scan. Note that you can always choose how often your device should be scanned. Another thing we would like to highlight in our Kaspersky review is the available packages, and the tools included in every product. The features you get with the free product have much in common with what other antivirus providers offer. It gives general protection and reports on dubious websites. As for paid products, Kaspersky offers packages for Home and Business. Kaspersky Anti-Virus is a basic package for Windows PC that will protect your computer from viruses and ransomware. Kaspersky Internet Security will protect your camera, conduct regular checks of your home network computers, and will let you use a VPN for free for one day (you can get an unlimited VPN protection for extra $30 annually). Mac and Android devices are covered. With the premium Kaspersky Total Security, you will get file encryption, backups, tools to manage your password, great technical assistance and more. Small Office Security. This package was designed specifically for companies with 5-25 computers. It will provide security to all the machines, file servers, laptops and mobile devices of your company. Cloud. This product was developed for small and middle-sized businesses without full-time IT security staff. Office 365. This product will protect your Office 365 email. Business Advanced. This product includes all of the tools delivered of the above mentioned Select package, plus additional instruments to defend your business. In addition, the company offers solutions for enterprises with more than 1000 employees. The company also offers plenty of extras and free downloads which can be used based on users’ needs and preferences. These are Safe Kids, Password Manager, Security Cloud, VPN and more. Note that you may use the 30-days free trial before purchasing any of the packages. The prices for the products mentioned above depend on the number of devices which will be used per one user account. It is also more profitable to purchase their packages for a longer period since you will save much in the long run. Here is the table for you to get the idea of the prices. Plans for business start from $229.00/year for 5 devices (Small Office Security) and vary greatly depending on your needs. Technical support specialists are ready to come to the rescue at any time. 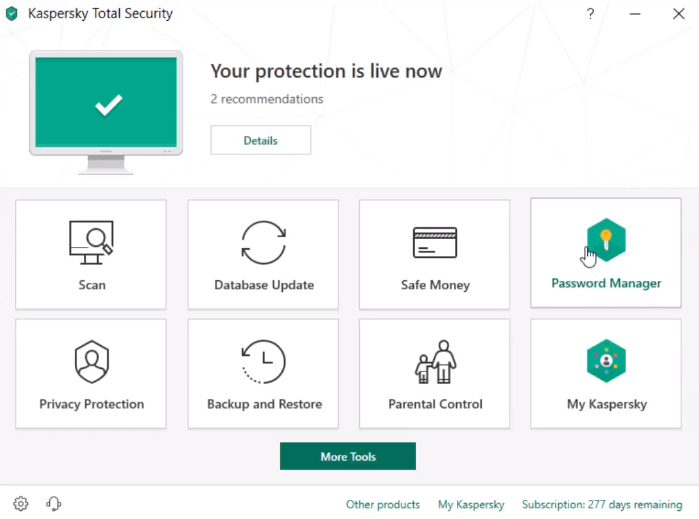 Users of licensed Kaspersky Total Security receive hourly database updates, can download updates for installed products for free and contact technical support. Note that there are also helpful tutorials, FAQs and articles on the Kaspersky support website. Everything is fine with Kaspersky. The only thing is that it often blocks games that I play. I torrented a couple of games and they are flagged as dangerous. I’m certain that they are clean, but the antivirus till flags them. We recommend you to inspect flagged files carefully. While Kaspersky does block some third-party applications, you should not ignore its warnings regarding suspicious files. Especially, if you got them from untrusted sources like torrents. The program is surely one of the best on the Internet. I want to note that their firewall is very easy to use and effective. Where can I get this program? Can I test it? 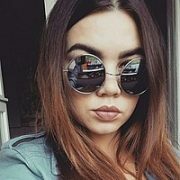 Does Kaspersky free antivirus exist? You can find a Kaspersky internet security download link on our website. You will also receive a special partner discount. What I like about Kaspersky is that their heuristic analysis is very impressive. It finds viruses that are not listed in databases. I had a lot of fishy files on my PC, but only Kaspersky removed them as dangerous. It’s very expensive. Probably the most expensive program out there. However, I’ve only heard good things about it. I’ve been a loyal customer of the Kaspersky lab for more than a decade. My old systems running Windows 95 had Kaspersky. It has always been slow. Everyone complained about it. No one complained about the results. This is one of the best antiviruses that I’ve used in my life. I had Avira, Norton, and many others. Kaspersky antivirus is still the best. If only it demanded less system resources! The program is very demanding towards the PC. I installed the app and could barely do anything but watch the scanning process unfold. I dunno whether I even need such a resource intense program on my PC. Can I make it less “burdening”? Kaspersky has always been infamous for creating antivirus solutions that put pressure on systems. Their scanner performs better than anything on the market. Sadly, it comes at a price of PC performance. We suggest you conduct the first scanning and do it regularly when you don’t need to use your laptop. Leave for the night to finish the scanning. Only the first scanning is very long. I personally do not know much about antiviruses. My boss said that it is the best. After reading the review, I think that I’m going to try it on my personal laptop. Your Kaspersky review has one of the longest lists of positives. Do you advertise the program? We do not endorse software publishers on our site. The history of Kaspersky total security suite is one full of groundbreaking inventions and innovations. You can read about this developer in many independent sources like Wikipedia. The company produces some of the finest security solutions. We do not praise them. We are stating a fact. We do believe that the program has a lot of merits. We also pointed out critical downsides. Hope, this clears up everything! I’ve purchased this program with a discount. Have no complaints! Kaspersky is like a virus hunter. The program seeks and destroys all sorts of viruses. They have a reputation and it is all true! The iPhone version is very slow. Can’t use my phone. The software suite is good all around. I think that the price is justified. This is one of the best solutions on the market in the end. Does Kaspersky have a mobile version? Yes, you can get a special version for mobile devices. It comes in the software package that you subscribe to.